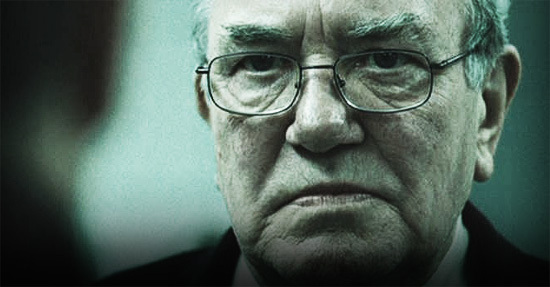 Irish Actor Albert Finney Will Play M's Superior in Sam Mendes' 'JAMES BOND: SKYFALL'! Five time Oscar nominee Albert Finney has joined the cast of Sam Mendes' upcoming Bond movie in 'a reasonably big role' as one of the top brass at the British Foreign Office, which basically means the Irish actor is set to play M’s [Judi Dench] Boss. The news comes via TheDailyMail who reports that the actor has just joined the cast for a table read & principle photography is set to begin next week along with a press conference at Pinewood Studios to officially announce the movies title which apparently is '007 Skyfall'. The movie marks the 23rd film in the long-running James Bond franchise. Finney will join a cast that includes Daniel Craig, Dame Judi Dench, Javier Bardem & Ralph Feinnes. The movie arrives October 26th 2012 in the UK & November 9th 2012 in the US. I'm reading: Irish Actor Albert Finney Will Play M's Superior in Sam Mendes' 'JAMES BOND: SKYFALL'!Tweet this!